Check out one of my favorite Twins bloggers, Targetfield.blogspot.com/. They have great posts about Twins tickets, night life, and great games recaps. Keep checking both websites for all your Twins news! Who's going to the Twins game tonight? I know I'll be there! Hey there readers! I am so excited it's Friday and it's going to be a great weekend! Just writing a quick post to remind you to follow me on Twitter to make sure you keep up with all the Twins gossip. Check it out here! Ticket King has GREAT, cheap Twins Tickets! 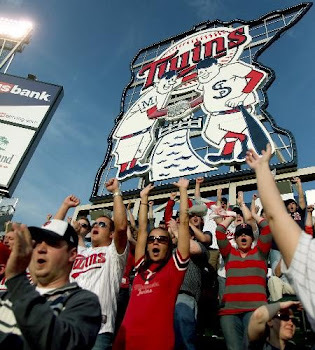 Baseball season is in full throttle and Ticket King is the place for the Twin Cities to get great Twins tickets. Ticket King has the best selection of seats, prices and games. Check out their variety at their website! And bring the Twins some luck! Yankees' Mariano Rivera got a unique rocking chair made from baseball bats for his retirement gift from the twins. The Twins also gave Rivera a $10,000 donation for his foundation. Among the bats were those belonging to Torii Hunter, Denard Span, Chuck Knoblauch, Kirby Puckett, Michael Cuddyer, Joe Mauer, Justin Morneau and Josh Willingham. The chair, which was manager Ron Gardenhire’s idea, was inscribed with two Twins logos and the words “Chair of Broken Dreams.” How perfect?!! We love this idea for a fun, but memorable and meaningful retirement gift. 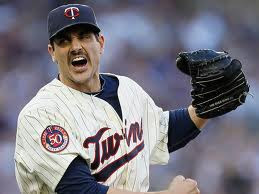 Want to know the most current Minnesota Twins standings? As of July 9th, the Twins are 37-49 and 4th in AL Central Division. Yesterday the Twins played the Rays and they lost 4-7. Today and tomorrow the Twins will also play the Rays at 6:10 at Tropicana Field in St. Petersburg, Florida. Tune in for the game and cheer on the Twins while they destroy the Rays this time! Who wouldn't want to read up on Joe Mauer?! Read on, bloggers, we've got all the info for you in one easy to read place! Everybody wants to a little more about Justin Morneau! Here's the low-down for your viewing pleasure.